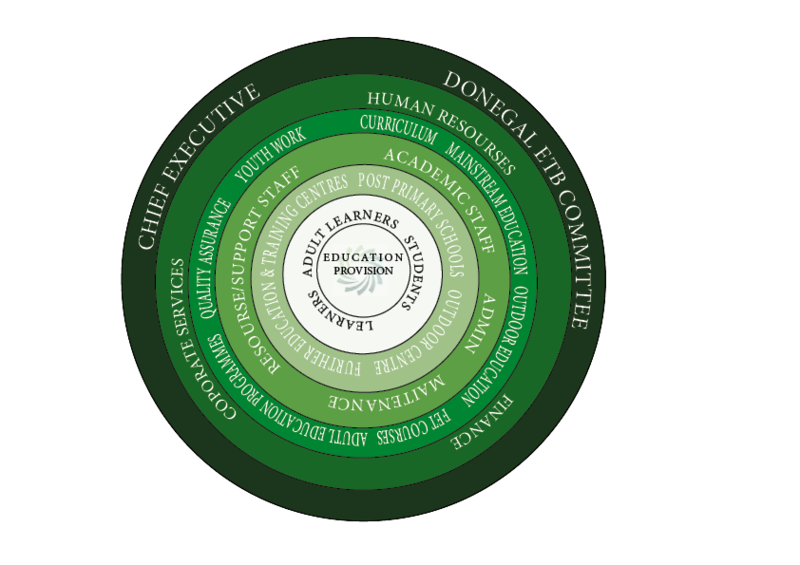 Donegal Education and Training Board (ETB) operates under a statutory framework provided primarily by the Education and Training Boards Act, 2013. It is funded by the Department of Education and Skills (DES) and is advised by them through circular letters and collective agreements (for example regarding pay and conditions) on an ongoing basis. Donegal ETB provides a broad range of Educational Services including post primary schools and colleges, further and adult education and third level education. It actively pursues the further development of educational services in the County, for example through the provision of new schools and of Education Centres, the active pursuit of new initiatives and the retention and re-development of any redundant buildings. Donegal ETB has a history of responding flexibly to community needs and aspirations since its foundation (as the VEC) in 1905 and, in co-operation with community, voluntary and other statutory organisations, it aims to continue this responsiveness into the next century, especially to those most in need of its services. Donegal ETB manages 15 of the 27 Post-Primary Schools and Colleges within the County. Outdoor Education Centre offers a full range of programmes based on outdoor recreation and training. The Administrative Offices provide the essential support services to the Schools and Centres. Each of these services are staffed by Clerical and administrative Staff at varying grades. County Donegal VEC provides curricular support in the form of additional teaching hours to a number of Special Education Units and Classes attached to Primary and Special Schools throughout the County.